McGraw-Hill Education announced today that it is renewing its pro bono ALEKS partnership with Detroit's Downtown Boxing Gym, a nonprofit organization that empowers Detroit students through education, athletics, mentorship and enrichment. 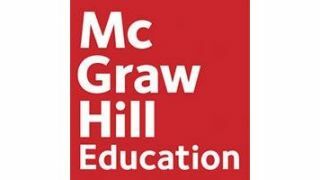 Through this partnership, McGraw-Hill Education provides Downtown Boxing Gym students with free access to its adaptive ALEKS mathematics program. Since implementing McGraw-Hill Education's ALEKS in the 2016-17 school year, students at the Downtown Boxing Gym using the ALEKS program have demonstrated progress in math, averaging a 25.2 percent increase in math performance after using ALEKS for nine weeks, with one 6th grade student improving as much as 60 percent. ALEKS (Assessment in LEarning in Knowledge Spaces) provides an individualized experience for K-20 students based on their unique strengths and weaknesses. "I'm thankful for the ALEKS program because it opened my understanding to more math subjects for high school," said Reynard, a ninth-grader who demonstrated a 35 percent growth in math knowledge over nine weeks. "ALEKS helped me to get an A in my high school math class."